When many of us started chiropractic we had a dream of a great practice, helping tons of people and making great money. But unfortunately it’s not always an easy dream to achieve. It’s easy to be frustrated and burnt out by managing staff, overhead and getting new patients in the door. You went to school to be a great doctor, not a business manager. With a clear path to a six-figure income, you can have the life of your dreams. To be a highly successful, respected and financially comfortable doctor. You are free to spend time with your family and friends, take vacations and live in the neighborhood you choose. We have a great opportunity for an associate in our office on Florida’s beautiful Treasure Coast. Live minutes away from great beaches, world-class fishing and golf in a small town environment but only 45 minutes away from the metropolis of Palm Beach County. 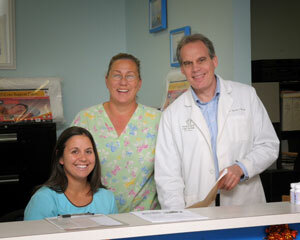 We have a diversified 30-year-old practice that treats personal injury, weekend athletes, insurance and cash patients. Whether you want to learn for a couple of years and then go start your own practice or stay in a great stable relationship, we can help you. We provide top-notch training and resources so our associates can reach their full potential. We train, learn and grow so we can help more people. Ready to start? Pick up the phone and call (772) 468-1000 to set up an initial phone interview and send your CV to ogradychiropractic@yahoo.com.